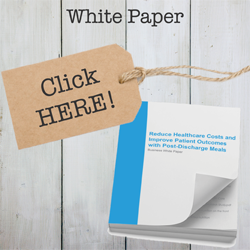 GA Foods post-discharge meals help reduce readmission rates by addressing the Social Determinants of Health of patients and members of healthcare providers, hospitals, managed care organizations, acute care organization, and other healthcare organizations. Home-delivered meals provide convenience for patients and members by solving one of the main components of a successful recovery. 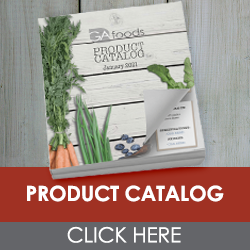 GA Foods is the recognized leader in providing nutrition solutions – serving highly nutritious, chef and dietitian-developed meals for seniors for over 40 years. GA Foods’ specially trained Field Service Representatives (FSRs) deliver meals personally to the members’ homes. They are the second set of eyes and can report any concerns to MCO case managers. High-quality meals are prepared by culinary experts. Our executive chef adds flavor and flair to familiar foods that appeal to the generation of consumers we serve. Better taste means seniors will eat and have better health outcomes. Over 60 fresh frozen and shelf-stable meals available. We offer meals that are heart healthy and diabetic-friendly. Meals are prepared in USDA-inspected and approved facilities. An independent USDA inspector is onsite during all meal preparation to ensure proper procedures are used for food safety. Position of the Academy of Nutrition and Dietetics: food and nutrition for older adults: promoting health and wellness, Journal of the Academy of Nutrition and Dietetics, 2012 Aug; 112(8): 1255-77. don: 10.1016/j.jand.2012.06.015. 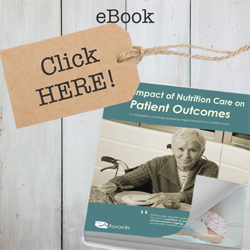 Post-discharge nutritional support in malnourished elderly individuals improves functional limitations, Journal of the American Medical Directors Association, 2011 May;12(4):295-301. doi: 10.1016/j.jamda.2010.12.005. Epub 2011 Feb 11.